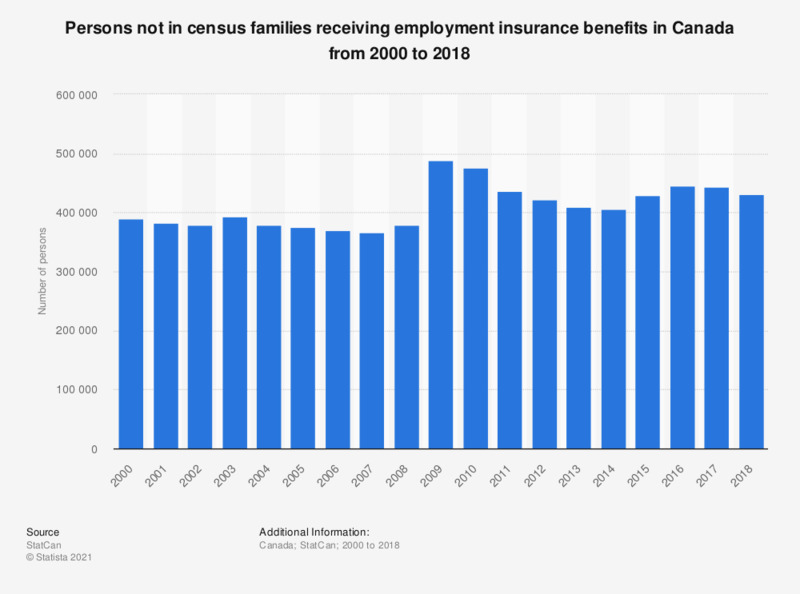 The statistic depicts the total number of persons who are not included in census families, and receiving employment insurance benefits in Canada from 2000 to 2016. In 2016, about 445,990 unattached individuals received employment insurance benefits in Canada. A person not in census families is an individual who is not part of a census family, couple family or lone-parent family. Persons not in census families may live with their married children or with their children who have children of their own. They may be living with a family to whom they are related or unrelated. They may also be living alone or with other persons not in census families.